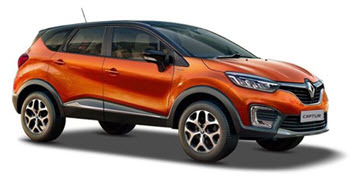 Groupe Renault is a French multinational company group that manufactures a wide range of cars and vans. In the past, Renault also made trucks, tractors, tanks, buses, and autorail vehicles, but Renault Trucks (Renault Véhicules Industriels) was acquired by AB Volvo in 2001 and Renault Agriculture has been a part of the German manufacturer CLAAS since 2008. Data from the year 2016 show Groupe Renault as the world’s 9th largest automaker by production volume, and the Renault-Nissan-Mitsubishi Alliance is the 4th largest automotive group. Groupe Renault has a 43.4% controlling stake in Nissan of Japan. In 2013, Renault became the leading seller of electric cars on the European market, chiefly due to the success of the five-door supermini electric car Renault Zoe. The Zoe topped European sales in the plug-in electric car segment in 2016, and ranked among the world’s top 10 best-selling plug-ins in 2015 and 2016. Since 2012, Daimler’s Mercedes A-Class and B-Class cars have been using engines manufactured by Renault. Groupe Renault owns a small (1.55%) stake in Daimler AG of Germany. This vehicle, which was developed by Renault, is sold in some markets as Nissan Kubistar or Mercedes-Benz Citan. This vehicle, which was developed by Renault, is sold in some markets as Nissan Interstar or Opel Movano. This vehicle, which was developed by Renault, is sold in some markets as Nissan Primastar, Opel Vivaro or Vauxhall Vivaro. In 2013, Renault became the leading electric vehicle producer in terms of sales in Europe, due to the popularity of Twizy, Fluence, Zoe, and Kangoo. In 2015, the Renault Zoe was the top-selling all-electric car in Europe, with 18,453 registrations. In June 2016, Renault Zoe #50,000 was purchased. In September that same year, Groupe Renault’s global electric vehicle sales passed the milestone 100,000 units. Out of these 100,000 units, well over half were Zoes, about 24,000 Twizys and around 18,000 Fluences.